Franklin Lafayette Anders was awarded the Medal of Honor for actions during the Philippine Insurrection. He went on to become an engineer, businessman and amateur military historian. Anders was born November 10, 1875 in Fort Abraham Lincoln Dakota Territory. His father, also named Franklin Layfette Anders, was a Union Army soldier and member of the 17th Regiment of the US Infantry who helped to establish the outpost. His father died of complications due to his war wounds in 1890. The unexpected death of his father forced Anders at age 15 to start work for the Northern Pacific Railway in their Mandan maintenance shops. In 1894, he enlisted 1st Regiment of the ND National Guard as part of Company B based out of Fargo. During his second enlistment period, the USS Maine exploded in Havana harbor, the US blockaded Cuban ports, and Spain declared war on the US on April 23. The 1st ND Volunteer Infantry was deployed to the Philippine Islands. On May 13, 1899 Anders was among eleven men in Young's Scouts. Without waiting for the supporting battalion to aid them or to get into a position to do so, this group charged over a distance of about 150 yards and completely routed about 300 of the enemy who were in line and in a position that could only be carried by a frontal attack. 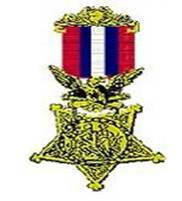 All eleven men who engaged the enemy were awarded the Medal of Honor on March 3, 1906. As was practice at the time, the medal was actually sent to him via US Mail rather than presented in person by the incumbant US President. However 57 years later, he was honored at a reception held by President John and First Lady Kennedy on May 2, 1963. He was discharged in September 1899, and moved to Utah where he spent two years working in the mining industry. In 1902, Anders enrolled at Ripon College (Wisconsin). He graduated with a Bachelor of Arts degree in engineering in 1906. While at Ripon, he met Mary Bertha Hargrave; the two were married on June 29, 1910 in Ripon. The couple had two children: Marion and Franklin. Anders returned to Fargo and was named city engineer in 1910 where he was responsible for designing the city's water filtration plant. He was recalled to duty in World War I in 1918. He was commissioned a Captain in the Corps of Engineers and stationed at Fort Dodge, Iowa. In 1919 he was transferred to Fort Riley where he was in charge of hospitals. He also served in Washington, D.C. and Michigan until discharged October 21, 1919 as a Major. Anders was general manager of the Lucky Strike Coal Company in Zap from 1920-1932. 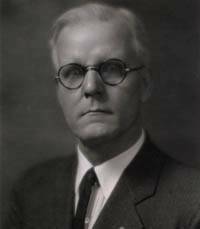 From 1931-1934 he was consulting engineer and secretary of the North Dakota State Capitol Commission which spearheaded the construction of the current capitol building. Major Anders was Senior Vice commander of the Legion of Valor, belonged to the Legion of Honor, Spanish War Veterans, Veterans of Foreign Wars, Order of Indian Wars, Army and Navy Club, American Legion, and Fargo-Moorhead Officer�s Mess. He was a member of the American Society of Civil Engineers, the American Institute of Mining Engineers and the Society of American Military Engineers. He belonged to the Order of Scabbard and Blade and held the McKinley Congressional Medal. He was a Mason, Scottish Rite, member of the Congregational Church, and president of the Commons Club of Fargo, 1916. He served as the national commander for the American Legion in 1929. In retirement, Anders spearheaded a project to mark the route George Custer took from Ft. Lincoln to his last stand using official records and surveys in the field through the National Youth Administration (NYA) program in the 1940s. He subsequently led the 75th anniversary of that march. Frank Anders died on January 23, 1966 and was the oldest surviving recipient of the Medal of Honor at his death. He is buried in Ripon, Wisconsin.